As television grow increasingly larger and flatter while providing a sharper image, home theater systems have become a popular part of the home. 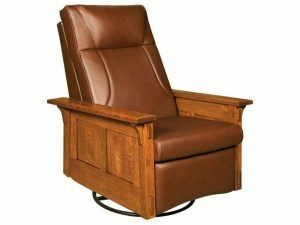 Brandenberry Amish Furniture features a new selection of recliners that will help transform any room of the home into a theater experience. So here’s your opportunity to Create a Home Theater with New Brandenberry Recliners. 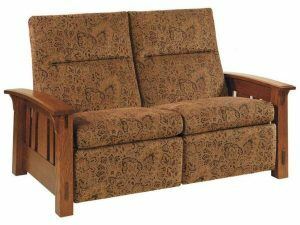 The new McCoy Loveseat Recliner features solid wood construction, plush upholstery, bowed arms, wood corbels, slat sides and a smooth-gliding reclining motion. 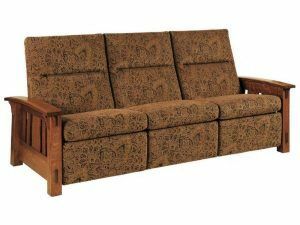 Because Brandenberry works hand-in-hand with the Midwest’s best Amish artisans, the McCoy Loveseat Recliner can be customized at every step of the construction process, including the choice of wood, fabric, finish and size. The McCoy Sofa Recliner (pictured here) boasts a bigger design than the loveseat. While still featuring the same plush seating and Mission style construction. In addition to these recliners, Brandenberry also debuted a new selection of swivel gliders. Featuring smooth-swivel construction and a timeless Mission design. Browse Brandenberry’s online catalog or visit their physical store to see more home theather furnishing options!